Edgar Perez, Columbia Business School MBA and former McKinsey and IBM consultant, is a global electronic trading and cybersecurity expert, author of The Speed Traders, Knightmare on Wall Street, and the course director of The Speed Traders Workshop 2015 Kuala Lumpur, “How Banks, Hedge and Mutual Funds and Brokers Battle Markets ‘RIGGED’ by Wall Street’s ‘Flash Boys’, High-frequency Trading, Exchanges and Dark Pools”. New York City, NY, USA (June 3, 2015) — According to the Financial Times, Bursa Malaysia and the Stock Exchange of Thailand (SET) have both been upgrading their trading systems in recent months to accommodate electronic traders and make it easier for foreigners to trade their markets, including high-frequency traders. Bursa Malaysia has reported in the past growth in the daily average number of contracts traded, in part due to what it said was an “outreach” to high-frequency traders. “We will continue our efforts in offering more tradable alternatives and improving market structure and framework. All these will support our initiatives in expanding our regional presence and in taking us a step closer to being Asean’s multinational marketplace,” said a spokesperson for Bursa Malaysia. Cybersecurity and electronic trading expert Edgar Perez, author of The Speed Traders (http://www.thespeedtraders.com) and Knightmare on Wall Street (http://www.knightmareonwallstreet.com) will open the door to the secretive world of computerized low-latency trading, the most controversial form of investing today; in the name of protecting the algorithms they have spent so much time perfecting, speed traders almost never talk to the press and try to disclose as little as possible about how they operate. The Speed Traders Workshop 2015 Kuala Lumpur, “How Banks, Hedge and Mutual Funds and Brokers Battle Markets ‘RIGGED’ by Wall Street’s ‘Flash Boys’, High-frequency Trading, Exchanges and Dark Pools”, is the first and most comprehensive initiation to the world of high-frequency trading with The Speed Traders Workshop 2015 Kuala Lumpur (http://www.thespeedtradersworkshop.com) this June 5 will cover the latest research currently available and reveals how high-frequency trading players are operating in global markets and driving the development of electronic trading at breakneck speeds from the U.S. and Europe to Japan, India, and Brazil. The “flash crash”, the suspended BATS IPO, the botched Facebook IPO, Knight Capital’s trading malfunction and NASDAQ’s Flash Freeze are just a few of the milestones in the history of high-frequency trading that will be dissected with participants. High-frequency traders have been called many things-from masters of the universe and market pioneers to exploiters, computer geeks, and even predators. Everyone in the business of investing has an opinion of speed traders, but how many really understand how they operate? The shadow people of the investing world, today’s high-frequency traders have decidedly kept a low profile-until now. In this new title, The Speed Traders, Edgar Perez opens the door to the secretive world of high-frequency trading (HFT). Inside, prominent figures of HFT drop their guard and speak with unprecedented candidness about their trade. Edgar Perez, former McKinsey and IBM consultant, is a global expert, author of The Speed Traders, Knightmare on Wall Street, and the course director of The Speed Traders Workshop, “How Banks, Hedge and Mutual Funds and Brokers Battle Markets ‘RIGGED’ by Wall Street’s ‘Flash Boys’, High-frequency Trading, Exchanges and Dark Pools”, in New York City, Washington DC, Boston, Munich, London, Dubai, Brussels, Tokyo, Beijing and Shanghai. 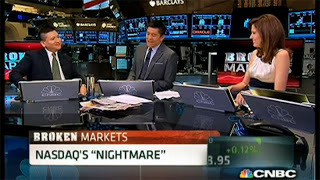 New York, NY, USA (May 1, 2014) — The Flash Crash of May 6, 2010, was a stock market anomaly where the major market indexes dropped by over 9% (including a roughly 7% decline in a roughly 15 minute span at approximately 2:45 pm eastern time before a partial rebound. Temporarily, $1 trillion in market value disappeared. While stock markets do crash, immediate rebounds are unprecedented. The stocks of eight major companies in the S&P 500 fell to one cent per share for a short time, including Accenture, CenterPoint Energy and Exelon; while other stocks, including Sotheby’s, Apple, and Hewlett-Packard, increased in value to over $100,000 in price. Procter & Gamble in particular dropped nearly 37% before rebounding, within minutes, back to near its original levels. 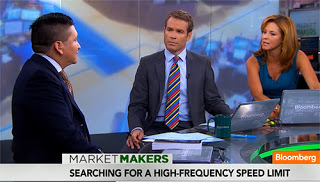 As we get closer to May 6, the fourth anniversary of this singular episode, high-frequency traders will reassess their strategies at The Speed Traders Workshop, “How Banks, Hedge and Mutual Funds and Brokers Battle Markets ‘RIGGED’ by Wall Street’s ‘Flash Boys’, High-frequency Trading, Exchanges and Dark Pools” (http://www.thespeedtradersworkshop.com), led by expert Edgar Perez, author of Knightmare on Wall Street (http://www.knightmareonwallstreet.com). This seminar will open the door to the secretive world of computerized low-latency trading, the most controversial form of investing today; in the name of protecting the algorithms they have spent so much time perfecting, speed traders almost never talk to the press and try to disclose as little as possible about how they operate. The Speed Traders Workshop, to be held in New York City, Washington DC, Boston, Munich, London, Dubai, Brussels, Tokyo, Beijing and Shanghai, covers the latest research currently available and reveals how high-frequency trading players are operating in global markets and driving the development of electronic trading at breakneck speeds from the U.S. and Europe to Japan, India, and Brazil. The “flash crash”, the suspended BATS IPO, the botched Facebook IPO, Knight Capital’s trading malfunction and NASDAQ’s Flash Freeze are just a few of the milestones in the history of high-frequency trading that will be dissected with participants. Global scrutiny of high-frequency trading and whether it gives some investors unfair advantage has intensified amid government probes and the March 31, 2014 publication of “Flash Boys” by Michael Lewis. While those examinations have focused mostly on U.S. equity markets, such as dark pools run by banks and broker-dealers and exchanges owned by companies including Nasdaq OMX, IntercontinentalExchange Group’s NYSE Euronext and Bats Global Markets, high-frequency traders are active internationally in futures, FX and fixed income markets, as they also run multi-asset strategies. High-frequency traders have been called many things, from emerging masters of the universe and market pioneers to exploiters, computer geeks, and even predators and thieves. Everyone in the business of investing has an opinion of speed traders, but how many really understand how they operate? The shadow people of the investing world, today’s high-frequency traders have decidedly kept a low profile, until now. 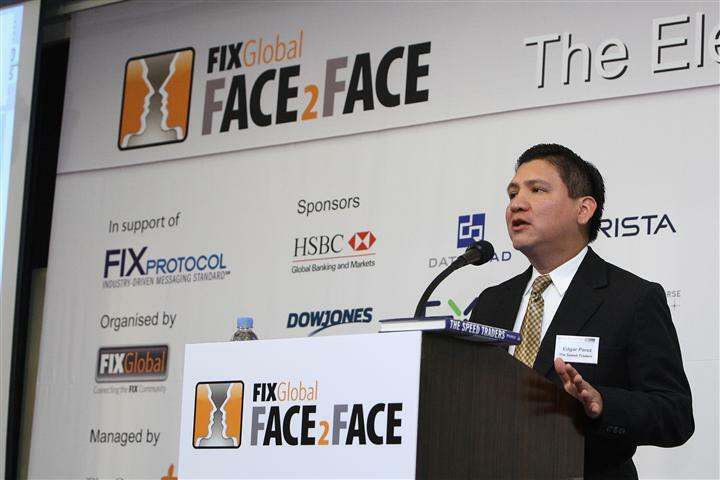 Edgar Perez is widely regarded as the preeminent global expert and speaker in the specialized areas of algorithmic and high-frequency trading. He is author of Knightmare on Wall Street, The Rise and Fall of Knight Capital and the Biggest Risk for Financial Markets (2013), a minute-by-minute account of the terrifying hours following Knight Capital’s August 1, 2012 trading debacle, The Speed Traders, An Insider’s Look at the New High-Frequency Trading Phenomenon That is Transforming the Investing World, published in English by McGraw-Hill Inc. (2011), Published in Mandarin by China Financial Publishing House (2012), and Investasi Super Kilat, Pandangan Orang dalam tentang Fenomena Baru Frekuensi Tinggi yang Mentransformasi Dunia Investasi, published in Bahasa Indonesia by Kompas Gramedia (2012). He contributes to The New York Times, UltraHighFrequencyTrading.com and China’s International Finance News and Sina Finance. Mr. Perez has been interviewed on CNN’s Quest Means Business, CNBC’s Squawk on the Street, Worldwide Exchange, Cash Flow and Squawk Box, FOX BUSINESS’s Countdown to the Closing Bell and After the Bell, Bloomberg TV’s Market Makers, CNN en Español’s Dinero, Sina Finance, BNN’s Business Day, CCTV China, Bankier.pl, TheStreet.com, Leaderonomics, GPW Media, Channel NewsAsia’s Business Tonight and Cents & Sensibilities. In addition, Mr. Perez has been globally featured on WILS 1320’s Capital City Recap, FXFactor, Columbia Business, OpenMarkets, Sohu, News.Sina.com, Yicai, eastmoney, Caijing, ETF88.com, 360doc, AH Radio, CNFOL.com, CITICS Futures, Tongxin Securities, ZhiCheng.com, CBNweek.com, Caixin, Futures Daily, Xinhua, CBN Newswire, Chinese Financial News, ifeng.com, International Finance News, hexun.com, Finance.QQ.com, Finance.Sina.com, The Korea Times, The Korea Herald, The Star, The Malaysian Insider, BMF 89.9, iMoney Hong Kong, CNBC, Bloomberg Hedge Fund Brief, The Wall Street Journal, The New York Times, Dallas Morning News, Valor Econômico, FIXGlobal Trading, TODAY Online, Oriental Daily News and Business Times. Mr. Perez has been engaged to present at the Council on Foreign Relations, Vadym Hetman Kyiv National Economic University (Kiev), Quant Investment & HFT Summit APAC 2012 (Shanghai), U.S. Securities and Exchange Commission (Washington DC), CFA Singapore, Hong Kong Securities Institute, Courant Institute of Mathematical Sciences at New York University, University of International Business and Economics (Beijing), Hult International Business School (London and Shanghai) and Pace University (New York), among other public and private institutions. In addition, Mr. Perez has spoken at a number of global conferences, including Inside Market Data 2013 (Chicago), Emerging Markets Investments Summit 2013 (Warsaw), CME Group’s Global Financial Leadership Conference 2012 (Naples Beach), Harvard Business School’s Venture Capital & Private Equity Conference (Boston), High-Frequency Trading Leaders Forum (New York, Chicago, London), MIT Sloan Investment Management Conference (Cambridge), Institutional Investor’s Global Growth Markets Forum (London), Technical Analysis Society (Singapore), TradeTech Asia (Singapore), FIXGlobal Face2Face (Seoul) and Private Equity Convention Russia, CIS & Eurasia (London). Mr. Perez was a vice president at Citigroup, a senior consultant at IBM, and a strategy consultant at McKinsey & Co. in New York City. Mr. Perez has an undergraduate degree from Universidad Nacional de Ingeniería, Lima, Peru (1994), a Master of Administration from Universidad ESAN, Lima, Peru (1997) and a Master of Business Administration from Columbia Business School, New York, with a dual major in Finance and Management (2002). He belongs to the Beta Gamma Sigma honor society. According to Salmon, Lewis’ pugnacious style is fine and good-journalism should make you angry. But the problem with Flash Boys, he claims, is that the demands that master storyteller Lewis makes of his narrative don’t align well with the structural problems of HFT that Lewis the journalist should want to expose. The result is that the general public, after reading this book or watching Lewis on 60 Minutes, will think that the scandal of HFT is that they’re being ripped off, and that the stock market is a scam. The Speed Traders Workshop, “How Banks, Hedge and Mutual Funds and Brokers Battle Markets ‘RIGGED’ by Wall Street’s ‘Flash Boys’, High-frequency Trading, Exchanges and Dark Pools” (http://www.thespeedtradersworkshop.com), demonstrates why neither of these statements is true. The Speed Traders Workshop is the first and most comprehensive initiation to the world of high-frequency trading with Edgar Perez, author of Knightmare on Wall Street (http://www.knightmareonwallstreet.com), and will open the door to the secretive world of computerized low-latency trading, the most controversial form of investing today; in the name of protecting the algorithms they have spent so much time perfecting, speed traders almost never talk to the press and try to disclose as little as possible about how they operate. New York, NY, USA (April 28, 2014) — The development of federal securities law was spurred by the stock market crash of 1929, and the resulting Great Depression. In the period leading up to the stock market crash, companies issued stock and enthusiastically promoted the value of their company to induce investors to purchase those securities. Doesn’t’ that sound eerily familiar to investors at the beginning of the Internet era? Brokers in turn sold this stock to investors based on promises of large profits but with little disclosure of relevant information about the company. In many cases, the promises made by companies and brokers had little or no substantive basis, or were wholly fraudulent. With thousands of investors buying up stock in hopes of huge profits, the market was in a state of speculative frenzy that ended in October 1929, when the market crashed as panicky investors sold off their investments en masse. Fast forward 85 years and practitioners can review how far markets have gone at The Speed Traders Workshop, “How Banks, Hedge and Mutual Funds and Brokers Battle Markets ‘RIGGED’ by Wall Street’s ‘Flash Boys’, High-frequency Trading, Exchanges and Dark Pools” (http://www.thespeedtradersworkshop.com), the first and most comprehensive initiation to the world of high-frequency trading with Edgar Perez, author of Knightmare on Wall Street (http://www.knightmareonwallstreet.com). The Speed Traders Workshop will open the door to the secretive world of computerized low-latency trading, the most controversial form of investing today; in the name of protecting the algorithms they have spent so much time perfecting, speed traders almost never talk to the press and try to disclose as little as possible about how they operate. Edgar Perez, Author, The Speed Traders, and Course Director, The Speed Traders Workshop 2012, Introduces Knightmare on Wall Street, The Rise and Fall of Knight Capital and the Biggest Risk for Financial Markets, a Behind-the-scenes Look at Knight Capital’s 17 years of Tumultuous Existence as an Independent Company. Knight Capital announced on August 1, 2012, it had sent an unprecedented number of erroneous orders into the market due to an error in installing new software. Knight Capital announced later a staggering loss of $440 million. What followed after this shocking announcement were several rounds of desperate conversations with a number of vulture players who had smelled opportunity and were readying themselves to pick up bargain-priced pieces. On August 6, 2012, Joyce confirmed that Knight Capital had struck a deal with Jefferies, TD Ameritrade, Blackstone, GETCO, Stephens, and Stifel Financial, staving off collapse days after the trading mishap. While Knight Capital was back in the game, its limping recovery quickly prompted hungry competitors to bid for the entire company. On December 19, 2012, the board decided to accept an acquisition proposal from GETCO rather than Virtu Financial. The Asian Century Report drew a parallel between the reactions of Chinese and American regulators to incidents that dramatically impacted their respective equity markets. In the case of China, $3.8 billion of erroneous purchase orders on August 16, 2013, led to Everbright Securities, the country’s seventh-largest brokerage by market value, to be barred from most proprietary trading, lifetime professional bans for four senior managers and the resignation of the president; the China Securities Regulatory Commission also imposed $85 million in fines and confiscation of any illegal gains. In the case pertaining to the U.S. equity markets, Knight Capital’s own $7 billion erroneous position accumulated in the first 28 minutes of trading of August 1, 2013, still goes unpunished by the Securities and Exchange Commission (SEC). 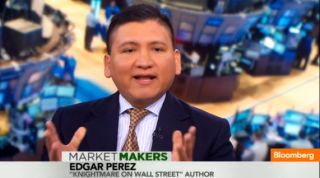 The author (http://www.MrEdgarPerez.com) is widely regarded as the preeminent global expert in the specialized area of high-frequency trading. Perez has been interviewed on Sina Finance, CNBC Squawk On The Street, Bloomberg TV’s Market Makers, CNN en Español’s Dinero, FOX Business’s Countdown to the Closing Bell, CNBC Worldwide Exchange, CNBC Cash Flow, CNBC Squawk Box, BNN Business Day, CCTV China, Bankier.pl, TheStreet.com, Leaderonomics, GPW Media, Channel NewsAsia Business Tonight and Cents & Sensibilities. In addition, Perez has been globally featured on FXFactor, Columbia Business, OpenMarkets, Sohu, News.Sina.com, Yicai, eastmoney, Caijing, ETF88.com, 360doc, AH Radio, CNFOL.com, CITICS Futures, Tongxin Securities, ZhiCheng.com, CBNweek.com, Caixin, Futures Daily, Xinhua, CBN Newswire, Chinese Financial News, ifeng.com, International Finance News, hexun.com, Finance.QQ.com, Finance.Sina.com, The Korea Times, The Korea Herald, The Star, The Malaysian Insider, BMF 89.9, iMoney Hong Kong, CNBC, Bloomberg Hedge Fund Brief, The Wall Street Journal, The New York Times, Dallas Morning News, Valor Econômico, FIXGlobal Trading, TODAY Online, Oriental Daily News and Business Times. Perez has been engaged to present at the Council on Foreign Relations, Vadym Hetman Kyiv National Economic University (Kiev), Quant Investment & HFT Summit APAC 2012 (Shanghai), U.S. Securities and Exchange Commission (Washington DC), CFA Singapore, Hong Kong Securities Institute, Courant Institute of Mathematical Sciences at New York University, University of International Business and Economics (Beijing), Hult International Business School (London and Shanghai) and Pace University (New York), among other public and private institutions. In addition, Perez has spoken at a number of global conferences, including Emerging Markets Investments Summit 2013 (Warsaw), CME Group’s Global Financial Leadership Conference 2012 (Naples Beach), Harvard Business School’s Venture Capital & Private Equity Conference (Boston), High-Frequency Trading Leaders Forum (New York, Chicago, London), MIT Sloan Investment Management Conference (Cambridge), Institutional Investor’s Global Growth Markets Forum (London), Technical Analysis Society (Singapore), TradeTech Asia (Singapore), FIXGlobal Face2Face (Seoul) and Private Equity Convention Russia, CIS & Eurasia (London). Perez was a vice president at Citigroup, a senior consultant at IBM, and a strategy consultant at McKinsey & Co. in New York City. Perez has an undergraduate degree from Universidad Nacional de Ingeniería, Lima, Peru (1994), a Master of Administration from Universidad ESAN, Lima, Peru (1997) and a Master of Business Administration from Columbia Business School, New York, with a dual major in Finance and Management (2002). He belongs to the Beta Gamma Sigma honor society. Perez resides in the New York City area and is an accomplished salsa and hustle dancer. Edgar Perez, Author, The Speed Traders, and Course Director, The Speed Traders Workshop, Introduces Knightmare on Wall Street, The Rise and Fall of Knight Capital and the Biggest Risk for Financial Markets, a Behind-the-scenes Look at Knight Capital’s 17 years of Tumultuous Existence as an Independent Company. New York City, NY, USA (September 3, 2013) — Robert Turner, founding Chief Financial Officer, Executive Vice President, Treasurer and Director of Knight Capital, calls Edgar Perez’s Knightmare on Wall Street, The Rise and Fall of Knight Capital and the Biggest Risk for Financial Markets (http://www.KnightmareonWallStreet.com), “a fascinating account of the rise and fall of Knight.” Perez, recently interviewed on CNBC’s Squawk On The Street by anchors Kelly Evans and Carl Quintanilla, released Knightmare on Wall Street on August 1, 2013, the day of the first anniversary of the trading debacle that almost brought down the firm. Perez (http://www.MrEdgarPerez.com) is widely regarded as the preeminent global expert in the specialized area of high-frequency trading. Perez has been interviewed on Sina Finance, CNBC Squawk On The Street, Bloomberg TV’s Market Makers, CNN en Español’s Dinero, FOX Business’s Countdown to the Closing Bell, CNBC Worldwide Exchange, CNBC Cash Flow, CNBC Squawk Box, BNN Business Day, CCTV China, Bankier.pl, TheStreet.com, Leaderonomics, GPW Media, Channel NewsAsia Business Tonight and Cents & Sensibilities. In addition, Perez has been globally featured on FXFactor, Columbia Business, OpenMarkets, Sohu, News.Sina.com, Yicai, eastmoney, Caijing, ETF88.com, 360doc, AH Radio, CNFOL.com, CITICS Futures, Tongxin Securities, ZhiCheng.com, CBNweek.com, Caixin, Futures Daily, Xinhua, CBN Newswire, Chinese Financial News, ifeng.com, International Finance News, hexun.com, Finance.QQ.com, Finance.Sina.com, The Korea Times, The Korea Herald, The Star, The Malaysian Insider, BMF 89.9, iMoney Hong Kong, CNBC, Bloomberg Hedge Fund Brief, The Wall Street Journal, The New York Times, Dallas Morning News, Valor Econômico, FIXGlobal Trading, TODAY Online, Oriental Daily News and Business Times. Perez has been engaged to present at the Council on Foreign Relations, Vadym Hetman Kyiv National Economic University (Kiev), Quant Investment & HFT Summit APAC 2012 (Shanghai), U.S. Securities and Exchange Commission (Washington DC), CFA Singapore, Hong Kong Securities Institute, Courant Institute of Mathematical Sciences at New York University, University of International Business and Economics (Beijing), Hult International Business School (London and Shanghai) and Pace University (New York), among other public and private institutions. He has spoken at a number of global conferences, including Emerging Markets Investments Summit 2013 (Warsaw), CME Group’s Global Financial Leadership Conference 2012 (Naples Beach), Harvard Business School’s Venture Capital & Private Equity Conference (Boston), High-Frequency Trading Leaders Forum (New York, Chicago, London), MIT Sloan Investment Management Conference (Cambridge), Institutional Investor’s Global Growth Markets Forum (London), Technical Analysis Society (Singapore), TradeTech Asia (Singapore), FIXGlobal Face2Face (Seoul) and Private Equity Convention Russia, CIS & Eurasia (London).